Portsmouth Golf Course is located adjacent to the Eastern Road. It has an 18 hole course with driving ranges for practice and a shop. The Course has got some good views over Langstone harbour and of Portsdown Hill. The Course has got a hotel adjacent to it and is not far from Ocean Park retail park. 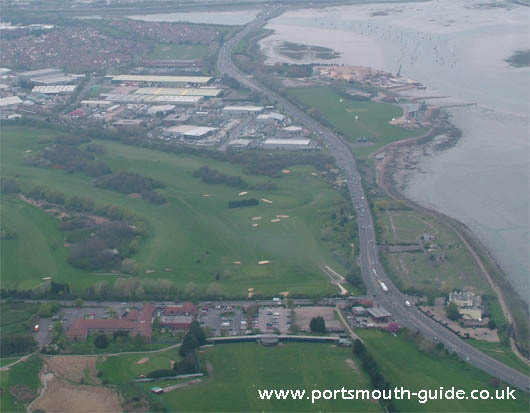 The Golf Course has got its own website that can be found at http://www.portsmouthgolfcentre.co.uk.